The leading independent specialist for windscreen replacement and windscreen repair based in Diss and serving all of the Diss area. National Windscreens Diss fitting centre provides windscreen replacement and windscreen repair services to businesses and individuals throughout Diss and the Diss area. 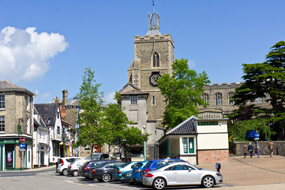 Diss is a market town in Norfolk which can be accessed by the A1066, A43 and A140. The town has a population of 7,500 people as of 2011. Diss takes its name from the Anglo-Saxon word meaning either ditch or embankment. This is due to its location in the valley of the River Waveney. Diss boasts a 14th century parish church and a beautiful six-acre Mere (lake) which provides facilities for a number of outdoor leisure activities. The Diss windscreen fitting centre and its mobile vehicle glass technicians service the needs of Diss and the surrounding area including Harleston, Stowmarket, Southwold and Halesworth. With 108 fitting centres and over 800 mobile technicians, National Windscreens operates the UK's largest windscreen repair and windscreen replacement network. The company provides low cost, high quality windscreen replacement and windscreen repair from its Diss fitting centre 24 hours a day, 7 days a week, 365 days a year. Repair and replacement of all types of vehicle glass including windscreens, rear windows and side windows is undertaken throughout Diss and all of the Diss area.